SGS - SANG MAO ENTERPRISE CO., LTD. Established in 1878, SGS transformed grain trading in Europe by offering innovative agricultural inspection services. 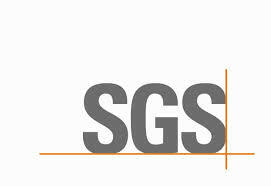 SGS is the world’s leading inspection, verification, testing and certification company. We are recognized as the global benchmark for quality and integrity. We enable you to demonstrate that your products, processes, systems or services are compliant with either national or international standards and regulations or customer defined standards, through certification.